Today’s modern university campus continues to evolve in response to a high degree of disruption. Technological, pedagogical and societal changes and challenges are altering the way we use and appreciate our university campuses. 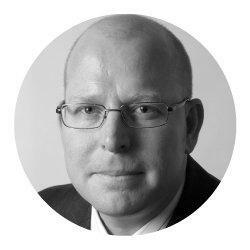 These are the views of Adam Davies who is a leading urban planner, designer and Principal at Hassell. With Davies extensive background in planning and designing for the education sector, The Urban Developer sought to further understand how our higher education precincts are evolving and responding to a broad range of challenges and opportunities within our urban landscapes. “Our campuses aren’t being used less frequently, they are being used very differently. Students in particular occupy the campus in very different ways and the demand for less formal learning and more self-directed and group working spaces and social environments continues to grow.” says Davies. Below he has outlined seven factors dictating the evolution of Australia’s higher education precincts as they transition into high performance urban villages. Universities are major economic and knowledge powerhouses and Australia’s third largest export sector. They are also the holders of major property and city infrastructure. In short, they form an integral part of a city's urban fabric. When masterplanning and bringing together all of the components of an education precinct it must be considered how the end product takes its place as part of a city’s, inner-urban, urban and suburban landscape. How do they fit in, become a part of the fabric, movement, social, cultural and recreational network? In 2001 the Goodwill Bridge opened between Southbank and QUT creating a new connection between Brisbane City’s South and North banks. 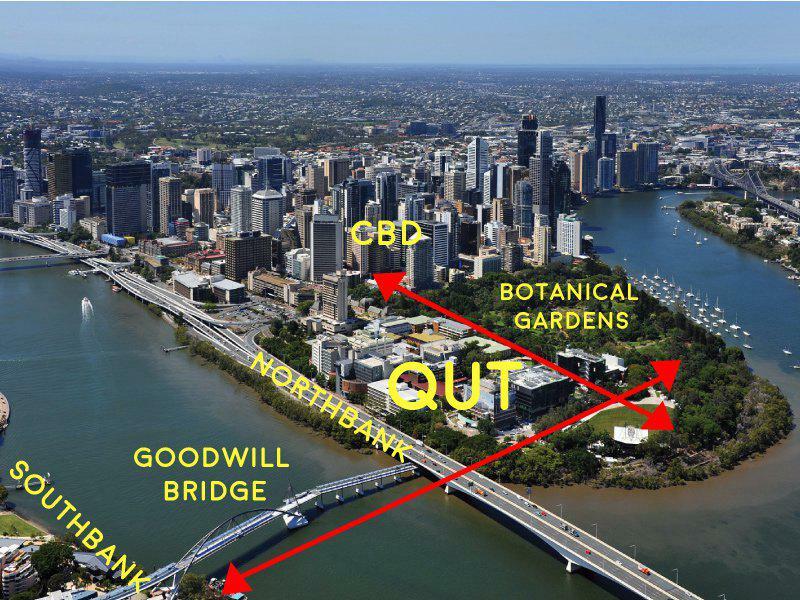 Since the integration of this new connection the university has put extensive effort into opening up the eastern edge, creating a new pedestrian link connecting the Goodwill Bridge, The Botanical Gardens and the CBD. This is an example of a university campus assisting to make movement within a city more functionable and justifying the highly valuable parcel of land it occupies. Universities are generally becoming more welcoming, encouraging community interaction and occupation of their campuses. Universities are updating and designing their campuses to consist of modern, efficient and adaptable buildings. There is a large importance on spaces that can be used for a variety of uses and can be easily changed to adapt to the semester diurnal. Technology will inevitably change so it’s also crucial that infrastructure is designed in such a way to promote future technologies and how they will be used. The Science Place is designed as 10,000 sqm (target Gross Floor Area) of new purpose built education and research education space located over multiple storeys, in the heart of JCU’s Townsville Campus. 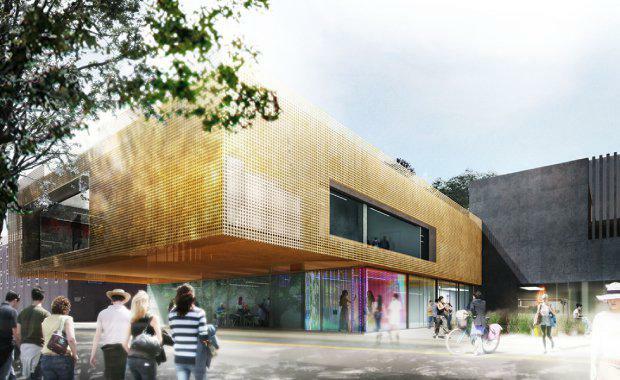 The facilities will be integrated and designed for contemporary pedagogical delivery. The facilities will be designed and managed to optimise space efficiency. Optimal cohort sizing and timetabling underpin the design in that regard. As earlier illustrated universities are innovation powerhouses and they play an important role in the cultivation and exchange of ideas and new knowledge. Connectivity, agglomeration and new relationships with business and industry are becoming key drivers for universities. Universities are adapting formal spaces that support learning and research to be supplemented with internal and external spaces that support socialisation, interaction, collaboration and innovation. These are spaces that encourage partners to come onto campus and interact with researchers and future graduates. Such spaces are key to enabling activities that foster discovery, translation and commercialisation. Curtin University has devised a multi-stage redevelopment around the concept of ‘Creating the City of Innovation’. The overall plan focuses on improving public amenity and infrastructure to create a more functional and appealing campus. By doing so the university aims to create places that encourage and support the innovation ecosystem. In order to keep up with societal and technological growth, universities must continue to promote global movement of talent and the flow of resources. Regions, cities, campuses and facilities play a major role and this promotion of talent comes through universities that are well connected, well designed and amenity rich. Many years ago Charles Landry identified that people now make employment decisions based on location. Affordability, liveability, environmental considerations and creative laden cities will continue to grow as the places sought out by talented students, staff and our future knowledge industries. Bringing industry onto campus is a key component to attracting and retaining talent. In 2016 Boeing Research and Technology Group formed a partnership with The University of Queensland which would see 30 Boeing staff working on campus full-time in conjunction with students and researchers. This mix of industry and education is a major player in the future of education precincts. Significant movement of people to, within and from the campus is integral towards the success of a university. Universities are major destinations within a city's overall transport ecosystem. Universities must look to a future where modal choice is promoted and students and staff can get to and from a campus through more sustainable modes of transport. Accessibility, convenience and safety are the key success factors around transport infrastructure within universities and a large emphasis of this goes into the design of transport interchanges. Universities are also placing great emphasis on well defined and developed precinct and orientation and wayfinding strategies that promote accessibility and movement across their campuses and their integration in a meaningful way with their broader communities. Within the UTS City Campus is the Dr Chau Chak Wing Building, which has a direct integration with the Goods Line, a prominent Sydney city connector. The Goods Line is a valuable piece of pedestrian infrastructure as it moves people through an important part of Sydney’s inner-city and the university placed a great emphasis on tying in with this planning initiative and utilizing it. A common misconception is that the rise of technology is killing the campus, which is false, instead it’s changed the way the campus is being used. Students are staying longer due to there being more spaces that promote activity and engagement outside of the classroom and laboratory. Students get to choose the space type that fits their activity at any given time. Collaboration and supportive spaces offer a diversity of options to students and support both hands-on-learning and group study. This in turn creates a better sense of place for universities. The $42.0 million ‘Learning Hub’ development stretches over 9,000 sqm and involved the enclosure of an existing plaza and modification of the existing adjoining buildings and library. The Learning Hub affords the University a flexible, functional and secure space with updated library research facilities, formal and informal study spaces, student services and retail to support students and academic staff in meeting their needs for onsite learning, sustainment and amenity. Some Universities are also beginning the process of establishing or considering the role of the three semester offer. With greater and greater financial constraints it is only a matter time before the utilisation rates of many of our university facilities begin to be seriously questioned. This will bring new challenges asking further questions about the types of facilities and spaces needed to support new learning and teaching models and the needs of a more diverse campus population. Universities have for some time been seeking to diversify their offer, encouraging greater levels of interaction beyond the bachelor degrees cohort that studies directly after their formal schooling. Post graduate study and career development, value adding in a changing world may well demand a different offer for the campus of the future. The university campus of tomorrow will be more urbane, have a greater range of occupants and users and will contain a variety of services, facilities and uses - more representative of high performing urban villages. Many universities continue to review their strategic direction and how they relate to emerging markets and how they’re accessed by their staff, students and partners. For some, this means creating and expanding their presence in new locations. This may involve expanding their city campuses or establishing new foundation campuses as anchor institutions providing much needed life, vitality and economic activity based on knowledge. An example of this is The University of Newcastle, which is opening its doors to the NeW Space facility in June this year. NeW Space is a $95 million landmark education precinct under development in the heart of Newcastle's CBD. The precinct aims to harness the latest in technology and innovation in teaching and learning to deliver a world-class student experience by engaging students in new and exciting ways. In conclusion, universities are our economic powerhouses, they attract significant talent and feed our innovation ecosystems. They are critical places within our cities and regions, feeding off locational and contextual benefits, but equally they contribute to the success and prosperity of the cities that we inhabit. is a Principal of international design practice HASSELL and an urban planner/designer who specialises in the education, science, health and innovation sectors. Adam has successfully led large scale master planning projects, strategic positioning, visioning and briefing processes for projects locally and internationally. 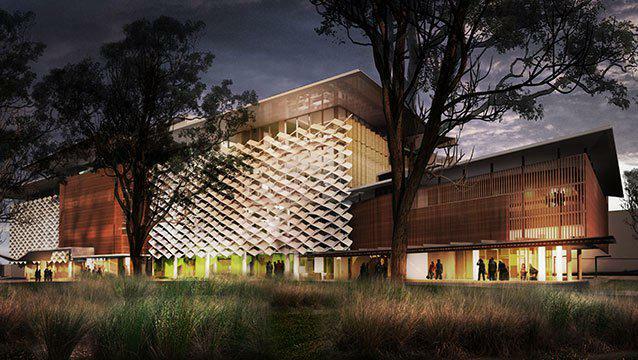 He is currently the masterplanning lead for the Herston Quarter Redevelopment in Brisbane and is participating in studies for the Queensland University of Technology, Monash University and the Repatriation General Hospital site in Adelaide.